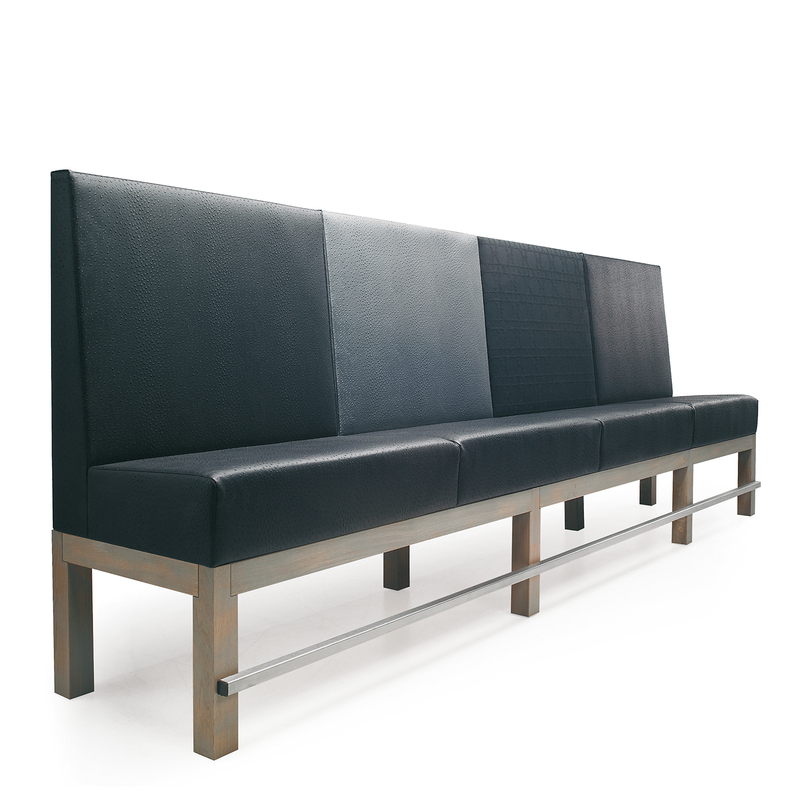 Upholstered bench with oak- or beech wooden ´Edge´ base. Total height 132 cm., also available in height 96 cm. (lower back), seat height 62 cm.